Lehman College’s Percy Ellis Sutton SEEK Program recently celebrated its 50th anniversary at a well-attended ceremony that honored its past and upcoming graduates. 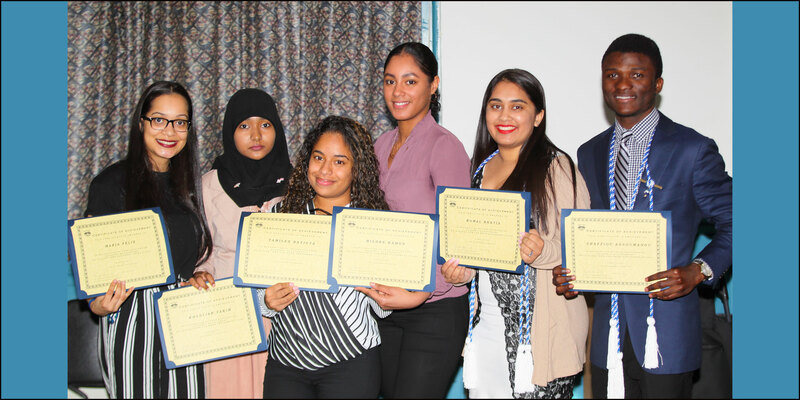 New York Assembly Speaker Carl Heastie gave the event's keynote address and Dr. Annette Hernandez, director of Lehman's SEEK program, congratulated the students and administration for "five decades of ever increasing success." Hernandez said that Lehman has 266 SEEK students eligible for graduation. SEEK stands for Search for Education, Elevation and Knowledge, and was launched in 1968, also Lehman's inaugural year. The state-funded program is available to underserved students at the City University of New York, providing them with specialized academic services and financial support. Some of those services include a pre-freshman summer program, individualized professional counseling, and advisement in academic, personal and career development. Its also provides supplemental financial aid for college related expenses such as textbooks and supplies. "We’d rather give up a limb of our body than see something damage these programs," Heastie said about SEEK and other similar programs. "We know that without these programs, many opportunities for people, particularly for people of color, would not be happening. These programs are so vitally important to us." "Proof of SEEK’s significance is this: some of Lehman College's strongest students and most accomplished graduate are participants of the program," says Lehman President José Luis Cruz. "This remarkable program proves that motivated students who want to succeed and are willing to work, can achieve their dreams with the right support and proper encouragement." Indeed, earlier this year, a group of prominent economists from Brown, Harvard and Stanford Universities presented research that showed SEEK students "earned more money as adults in their late 20s and early 30s than academically similar students from higher-income families." The economists had tracked 10,000 CUNY SEEK students. "We celebrate the legacy of aspiration, the legacy of determination, achievement and mobility, that has impacted our local neighborhoods, counties, states, and nation, in numerous wonderful ways," said Hernandez. Gabriella Rodriguez, a Lehman alumna from the class of 2017 and a former SEEK student, gives the program significant credit for contributing to her academic and personal achievements. Rodriguez is currently teaching in the Lehman chemistry lab, and preparing for the June MCAT exams. She plans to attend medical school in 2019. She said that she “was blessed” to be accepted into the SEEK program, and likened her SEEK Advisor Angela Pinnock, to a second mom. "With the support of my family at home and Lehman College, especially my adopted family in the SEEK Program, I was able to overcome all the obstacles that I encountered as a first generation college student," Rodriguez said. The 50th anniversary ceremony included the presentation of the 2018 SEEK graduates, and the Chi Alpha Epsilon National Honor Society "pinning ceremony," in which new members are inducted. There were also special awards and recognition to 15 Lehman SEEK students for academic excellence. They all have maintained 3.90 GPA’s or better. The program was named in honor of Percy Ellis Sutton, a prominent African-American political leader who was instrumental in the creation of SEEK. Sutton was a civil rights activist and served as Manhattan Borough President from 1966-1977. He died in 2009, at the age of 89.